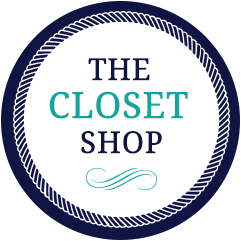 The Closet Shop has developed a streamlined process to quickly turn your appointment request into the closet storage system you need. To get started, complete the online appointment form. You'll hear from a member of our professional team within 24 hours, to schedule a free, in-home design consultation. The consultation, scheduled at your convenience, usually takes about 45 minutes. 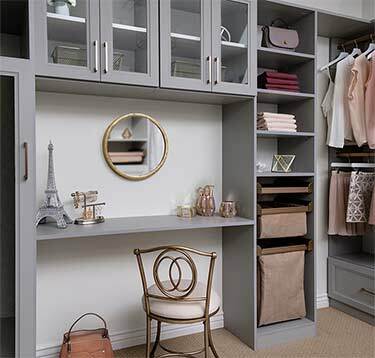 We'll measure your closet, conduct a thorough clothing and shoe inventory and discuss various design options. In many cases, we can create a professional design on-site, offering clients the opportunity to share their ideas using our state-of-the-art 3D design software. You'll receive an email with a detailed design proposal within two days of the appointment. From there, we will schedule a live, on-line review, always at your convenience. Once the design proposal is accepted, a deposit is required to confirm the project and order the materials. The typical turn-around, from deposit to installation, is between 14 days and 21 days.